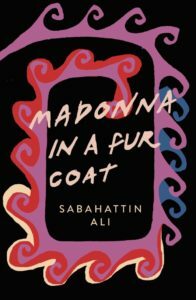 The latest addition to my website is Sabahattin Ali‘s Kürk Mantolu Madonna (Madonna in a Fur Coat). Our narrator, who has lost his job, gets a job where he has to work with a German translator called Raif. Raif is treated badly at work and badly at home (by his in-laws) and is often ill. When Raif seems to be dying the narrator is given a notebook which contains Raif’s story. He had gone to Germany as a young man and drifted around, till he went to a modern art exhibition. He did not like the art till be saw the final painting, a self-portrait by a woman called Maria Puder, which he christens Madonna in a Fur Coat. He is determined to find her and eventually does. The rest of the book is about their up-and-down relationship and, given what we know from the early part of the book, it is not going to end well. Ali tells an excellent love story as well as the story of a man whose life was defined by one meeting and has been failure both before and since.